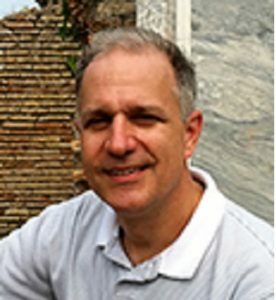 Jeff Beneker’s primary research interest is in Greco-Roman biography and historiography. He has written a book on Plutarch’s biographical method, The Passionate Statesman: Eros and Politics in Plutarch’s Lives (Oxford University Press 2012), and articles on Plutarch, Cornelius Nepos, Suetonius, and Homer. With Craig Gibson (University of Iowa) he has published an edition and translation of the progymnasmata of Nikephoros Basilakes for the Dumbarton Oaks Medieval Library (Harvard University Press 2016) and is cooperating with Gibson on a translation of The Book of Syntipas the Philosopher, also for Dumbarton Oaks. He is currently writing a biography of Pompey the Great (for Princeton University Press), translating Plutarch’s political essays (also for Princeton), and with Georgia Tsouvala (Illinois State University) co-editing a book on the discourse of marriage in the Greek and Latin literature of the Roman Empire (for University of Wisconsin Press). In addition to teaching courses in Greek and Latin language and literature, he teaches lecture courses on Classical Mythology, Greco-Roman religion, and Ancient Epic.